It feels like yesterday when Andy proposed to me yet here we are inviting you into our magical Los Cabos wedding weekend. Andy and I are so excited to share these special moments with you over the next few days. When we envisioned our wedding we wanted to create an experience that would carry a lifetime of memories; a weekend for all of our favorite humans to relax + enjoy, and of course, to celebrate our love and commitment to each other. After we decided on a destination wedding we set out to put together that experience in the most beautiful of settings and kicked off #aplusabigday with a Welcome Party at Hotel El Ganzo. A special moment overlooking the Baja coast line from El Ganzo Hotel rooftop. Friends and family toasting Ashley and Andy at El Ganzo Hotel in Los Cabos. Andy's parents delivering a heartfelt wedding weekend welcome. Andy and his older brothers / best men. Ashley and Andy sharing a special moment at Hotel El Ganzo in Los Cabos, Mexico. Puerto Los Cabos in San Jose Del Cabo, Mexico. Custom wedding weekend napkins by For Your Party. Delicious appetizers at Hotel El Ganzo in Los Cabos, Mexico. Andy and his best friends pose for a photo at the pool at Hotel El Ganzo. For us, it was a kick-off to forever and the night when many families came together for the first time ever or for the first time in over 20 years. I remember standing hand in hand with Andy as his dad gave the most amazing welcome speech about how proud he is of his son and how excited him + his wife were that Andy finally found someone who would deal with his picky eating habits, push him out of his comfort zone, and be his forever partner .... all while looking out and seeing every single amazing person that has ever touched our lives. It's an incredible feeling to feel so much love at one time. Wedding related posts dominated 2018 as did an incredible trip to Haiti and the swimsuit of the summer! Spring Bride? Here's What I Wish I Knew! Lifestyle blogger, Everyday Pursuits with her esthetician breaks down her 3 month wedding prep skincare regimen! Wedding day skin prep is so important, and here’s exactly what to do! Lifestyle blogger, Everyday Pursuits shares some magical shots of her post wedding shoot with Gina + Ryan, why she opted out of engagement photos, tips for engagement photos (if you do take 'em) + post wedding sessions! All the weddings? 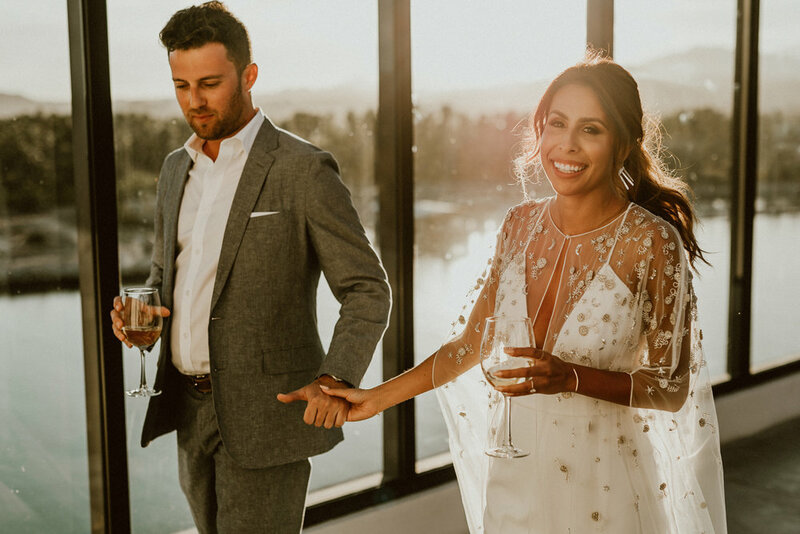 Lifestyle blogger, Everyday Pursuits shares everything you need to know about wedding wear from beach weddings to black tie!